Lead contamination in low-income communities is an even more of a severe problem across the US than initial reports from Flint, Michigan, indicated, according to new analysis from Reuters. It has been over a year since lead contamination in Flint’s drinking water became national news. The issue is nowhere near fixed, as residents continue to battle with the state over bottled water deliveries. Since the Michigan city fell under the spotlight, the issue of lead contamination and subsequent testing has grown considerably nationwide. 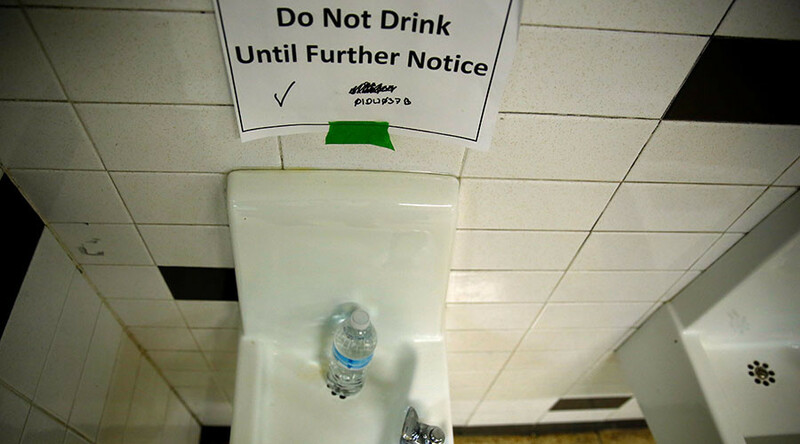 Reuters found that five communities have even more widespread lead poisoning than Flint. 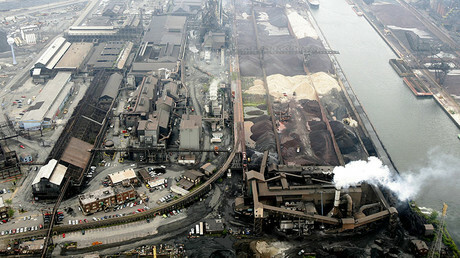 Many cities in the Midwest and rust belt are dealing with the ramifications of past lax regulations from during rough economic times, and where money once provided by local industry and manufacturing has gone. Places like South Bend, Indiana, were found by Reuters to have neighborhoods where 31 percent of small children tested from 2005 to 2015 had high levels of lead in their blood. Lead poisoning in South Bend was not discovered by the Reuters report published Monday. News articles from four years ago urged parents to have their children tested for lead poisoning after the county health department said 80 percent of the houses in the county had a risk of containing lead paint. But the trouble may have been more dire than officials knew. A rate of 21.1 to 25 percent of children under seven years of age had elevated lead levels, which the US Centers for Disease Control and Prevention (CDC) defines at 5 micrograms/deciliter or higher. In one specific tract, that number reached 30.1 to 35 percent. Conditions in the South Bend neighborhood, known as Census Tract 6, lent themselves to leaving residents vulnerable to lead poisoning. The area is home to a high concentration of homes built in the late 1800s to late 1900s that are often coated in lead-based paint and are more likely to have corroded lead pipes and fittings, effectively poisoning the tap water. In fact, the South Bend Tribune found that 59 percent of customers received water from systems that used lead pipes or components. More than 28 percent of South Bend inhabitants live in poverty, according to the US Census. There are multiple causes of the elevated lead levels found in South Bend, but identifying and fixing the problem is another dilemma in and of itself. St. Joseph County health officer Dr. Luis Galup said that funds available for tackling lead poisoning are subject to the whims of the economy. “We are the lowest of the low in terms of public health funding,” Galup told Reuters. US Housing and Urban Development grants were once used for lead testing, but the cash-strapped county was forced to make cuts. Local Women, Infants and Children (WIC) programs were responsible for conducting hundreds of blood lead tests, but that number has dropped dramatically. This leaves two nurses and one environmental inspector to prevent lead poisoning in a county that is home to 265,000 residents. Mary Hollingsworth, Indiana Department of Environmental Management Drinking Water Branch Chief, explained that dropping the percentage of lead pipes is going to be a difficult process. In St. Joseph, Missouri, lead poisoning can be more easily traced to old homes. The city was founded in 1843 and became home to the St. Joseph Lead Company (now Doe Run) in 1864. The city is also home to the highest rates of children with elevated levels of lead poisoning in Missouri and represents 30 percent of lead poisoning in the state. Cleveland’s east side St. Clair-Superior area has rates nearly 10 times that of Flint in terms of lead poisoning. Almost 50 percent of children in the area had elevated lead levels in the past decade. But this information does not reveal much to those familiar with Cleveland, where lead poisoning has raged since 1990, when Rep. Louis Stokes (D-Ohio) addressed the House of Representatives after President George H.W. Bush’s dog was diagnosed with lead poisoning. "It is appalling that the dangers of lead poisoning has to be brought to the nation's attention through the White House dog," Stokes said 26 years ago. 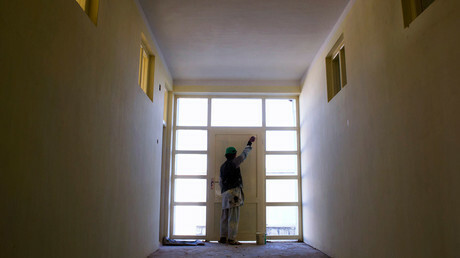 Since then, efforts have been made to reduce lead poisoning by cleaning up homes. Cleveland and Cuyahoga County have spent $57 million trying to reduce lead hazards, but $50 million of that was used only after a child had already tested positive for lead, the Plain Dealer reported. In addition, the $57 million has only been able to clean up about 4,300 homes since 1993. That figure is nothing to scoff at, but it is a far cry from the 187,000 homes in Cuyahoga County that have been flagged as potential hazards due to their age. Lead abatement is not an easy or cheap process. According to the EPA, the average removal project costs about $10,000. Cleveland represents 80 percent of lead poisoning in Cuyahoga County, but has a poverty rate of 36.2 percent. Without government assistance, removing lead paint and other hazards can be plainly too expensive for the residents most likely to suffer from lead poisoning. "If this was a different group of children we wouldn't tolerate this as a society, community or a city” Robert Cole, an attorney with Advocates for Basic Legal Equality Inc., a nonprofit working to address lead poisoning in Toledo, told the Plain Dealer. Rochester, New York, has been grappling with the problem for years. The majority of lead poisoning is attributed to lead-paint dust and chips that are all too frequently found in older homes that represent 95 percent of all housing units in Rochester, the Democrat and Chronicle reported. "All it takes is a sugar packet's worth of dust to consider a home contaminated," Elizabeth McDade, program director for the Coalition to Prevent Lead Poisoning in Rochester, told the Chronicle. However, progress has been made in the Flour City due to regulations requiring all rental housing units built before 1978 to be inspected for loose lead paint. The law also provides follow-up inspections, leading to over 129,000 inspections conducted by the city since the law was enacted a decade ago. Like other cities, Rochester also struggles with lead pipes and fittings transporting drinking water into the city. It is unknown how many privately owned lead services contaminate the drinking water for those in the city where 33.5 percent of the residents live in poverty. However, the Monroe County Water Authority guarantees that it uses no lead services – but only serves the suburbs of Rochester. 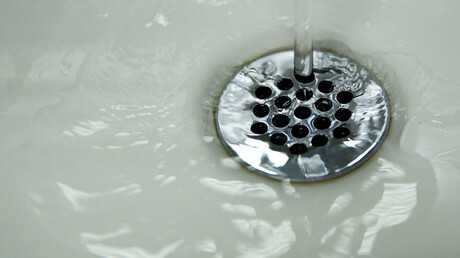 As a result, tap water in 10 percent of Rochester homes can exceed the World Health Organization’s lead guideline of 10 parts per billion as well as the EPA’s action level of 15 parts per billion. Money is the underlying factor for addressing lead poisoning in the US. However, there is no magic bullet to killing the problem once and for all. For an issue that affects large swaths of the population, "it takes commitment, the resources and a coordinated effort to eliminate this devastating disease," as Congressman Stokes said over a quarter-century ago.